Fiat money is money that has value only because of government regulation or law. The term derives from the Latin fiat, meaning “let it be done”, as such money is established by government decree. Where fiat money is used as currency, the term fiat currency is used. Why does it seem like almost everything is made in China these days? Yesterday I was looking at some pencils that we had laying around the house and I noticed that they had been manufactured in China. I remarked to my wife that it was such a shame that they don’t make pencils in the United States anymore. At another point during the day, I turned over my television remote and I noticed that it also had “Made In China” engraved on it. With Labor Day just hours in the past, I think that it is quite appropriate to write about our transition from an industrial economy to a paper economy today. Since the year 2000, the United States has lost five million manufacturing jobs even though our population has grown substantially since that time. Manufacturing in America is in a state of stunning decline, our economic infrastructure is being absolutely gutted, and our formerly great manufacturing cities are in an advanced state of decay. We consume far more wealth than we produce, and the only way that we are able to do this is by taking on massive amounts of debt. But is our debt-based paper economy sustainable in the long run? You might be thinking that government jobs are “good jobs”, but the truth is that they don’t produce wealth. Government employees are really good at pushing paper around and telling other people what to do, but in most instances they don’t actually make anything. While we were thinking about what was really going on with today’s strange new money system, a startling thought occurred to us. Our financial system could take a surprising and catastrophic twist that almost nobody imagines, let alone anticipates. Do you remember when a lethal tsunami hit the beaches of Southeast Asia, killing thousands of people and causing billions of dollars of damage? Well, just before the 80-foot wall of water slammed into the coast an odd thing happened: The water disappeared. The tide went out farther than anyone had ever seen before. Local fishermen headed for high ground immediately. They knew what it meant. But the tourists went out onto the beach looking for shells! It’s almost seems impossible. Hard to imagine. Difficult to understand. But if you look at M2 money supply – which measures coins and notes in circulation as well as bank deposits and money market accounts – America’s money stock amounted to $11.7 trillion as of last month. What we use as money today is mostly credit. It exists as zeros and ones in electronic bank accounts. We never see it. Touch it. Feel it. Count it out. Or lose it behind seat cushions. Banks profit – handsomely – by creating this credit. And as long as banks have sufficient capital, they are happy to create as much credit as we are willing to pay for. After all, it costs the banks almost nothing to create new credit. That’s why we have so much of it. A monetary system like this has never before existed. And this one has existed only during a time when credit was undergoing an epic expansion. 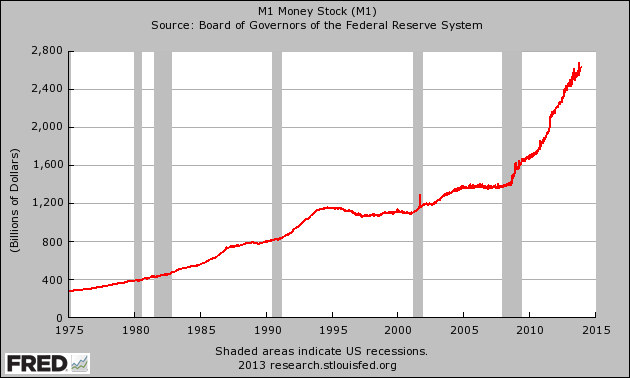 So our monetary system has never been thoroughly tested. How will it hold up in a deep or prolonged credit contraction? Can it survive an extended bear market in bonds or stocks? What would happen if consumer prices were out of control? Our current money system began in 1971. It survived consumer price inflation of almost 14% a year in 1980. But Paul Volcker was already on the job, raising interest rates to bring inflation under control. And it survived the “credit crunch” of 2008-09. Ben Bernanke dropped the price of credit to almost zero, by slashing short-term interest rates and buying trillions of dollars of government bonds. Short-term interest rates are already close to zero in the U.S. (and less than zero in Switzerland, Denmark, and Sweden). And according to a recent study by McKinsey, the world’s total debt (at least as officially recorded) now stands at $200 trillion – up $57 trillion since 2007. That’s 286% of global GDP… and far in excess of what the real economy can support. At some point, a debt correction is inevitable. Debt expansions are always – always – followed by debt contractions. There is no other way. Debt cannot increase forever. And when it happens, ZIRP and QE will not be enough to reverse the process, because they are already running at open throttle. …and suddenly, no one wants to part with a penny, for fear he may never see it again. Credit stops. It’s not just that no one wants to lend; no one wants to borrow either – except for desperate people with no choice, usually those who have no hope of paying their debts. Just as we saw after the 2008 crisis, we can expect a quick response from the feds. The Fed will announce unlimited new borrowing facilities. But it won’t matter…. House prices will be crashing. (Who will lend against the value of a house?) Stock prices will be crashing. (Who will be able to borrow against his stocks?) Art, collectibles, and resources – all we be in free fall. In the last crisis, every major bank and investment firm on Wall Street would have gone broke had the feds not intervened. Next time it may not be so easy to save them. The next crisis is likely to be across ALL asset classes. And with $57 trillion more in global debt than in 2007, it is likely to be much harder to stop. In a gold-backed monetary system prices fall. But the money is still there. Money becomes more valuable. It doesn’t disappear. It is more valuable because you can use it to buy more stuff. Naturally, people hold on to it. Of course, the velocity of money – the frequency at which each unit of currency is used to buy something – falls. And this makes it appear that the supply of money is falling too. But imagine what happens to credit money. The money doesn’t just stop circulating. It vanishes. As collateral goes bad, credit is destroyed. A bank that had an “asset” (in the form of a loan to a customer) of $100,000 in June may have zilch by July. A corporation that splurged on share buybacks one week could find those shares cut in half two weeks later. A person with a $100,000 stock market portfolio one day could find his portfolio has no value at all a few days later. All of this is standard fare for a credit crisis. The new wrinkle – a devastating one – is that people now do what they always do, but they are forced to do it in a radically different way. They stop spending. They hoard cash. But what cash do you hoard when most transactions are done on credit? Do you hoard a line of credit? Do you put your credit card in your vault? No. People will hoard the kind of cash they understand… something they can put their hands on… something that is gaining value – rapidly. They’ll want dollar bills. Let us stop here and remind readers that we’re talking about a short time frame – days… maybe weeks… a couple of months at most. That’s all. It’s the period after the credit crisis has sucked the cash out of the system… and before the government’s inflation tsunami has hit. As Ben Bernanke put it, “a determined central bank can always create positive consumer price inflation.” But it takes time! And during that interval, panic will set in. A dollar panic – with people desperate to put their hands on dollars… to pay for food… for fuel…and for everything else they need. You will have a credit card with a $10,000 line of credit. You have $5,000 in your debit account. But all financial institutions are staggering. And in the news you will read that your bank has defaulted and been placed in receivership. What would you rather have? Your $10,000 line of credit or a stack of $50 bills? You will go to buy gasoline. You will take out your credit card to pay. “Cash Only,” the sign will say. Because the machinery of the credit economy will be breaking down. The gas station… its suppliers… and its financiers do not want to get stuck with a “credit” from your bankrupt lender! Whose credit cards are still good? Whose lines of credit are still valuable? 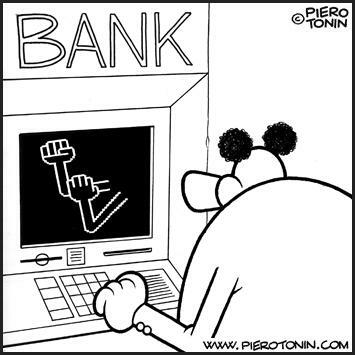 Whose bank is ready to fail? Who can pay his mortgage? Who will honor his credit card debt? In a crisis, those questions will be as common as “Who will win an Oscar?” today. But no one will know the answers. Quickly, they will stop guessing… and turn to cash. Our advice: Keep some on hand. You may need it. Janet Yellen is very alarmed that some members of Congress want to conduct a comprehensive audit of the Federal Reserve for the first time since it was created. If the Fed is doing everything correctly, why should Yellen be alarmed? What does she have to hide? During testimony before Congress on Tuesday, she made “central bank independence” sound like it was the holy grail. Even though every other government function is debated politically in this country, Yellen insists that what the Federal Reserve does is “too important” to be influenced by the American people. Does any other government agency ever dare to make that claim? But of course the Federal Reserve is not a government agency. It is a private banking cartel that has far more power over our money and our economy than anyone else does. And later on in this article I am going to share with you dozens of reasons why Congress should shut it down. My theme for 2015 has been the assertion that this will be a year of shattered illusions; social, political, as well as economic. As I have noted in recent articles, 2014 set the stage for multiple engineered conflicts, including the false conflict between Eastern and Western financial and political powers, as well as the growing conflict between OPEC nations, shale producers, as well as conflicting notions on the security of the dollar’s petro-status and the security and stability of the European Union. Since the derivatives and credit crisis of 2008, central banks have claimed their efforts revolve around intervention against the snowball effect of classical deflationary market trends. The REAL purpose of central bank stimulus actions, however, has been to create an illusory global financial environment in which traditional economic fundamentals are either ignored, or no longer reflect the concrete truths they are meant to convey. That is to say, the international banking cult has NO INTEREST whatsoever in saving the current system, despite the assumptions of many market analysts. They know full well that fiat printing, bond buying, and even manipulation of stocks will not change the nature of the underlying crisis. Their only goal has been to stave off the visible effects of the crisis until a new system is ready (psychologically justified in the public consciousness) to be put into place. I wrote extensively about the admitted plan for a disastrous “economic reset” benefiting only the global elites in my article ‘The Economic End Game Explained’. We are beginning to see the holes in the veil placed over the eyes of the general populace, most notably in the EU, where the elites are now implementing what I believe to be the final stages of the disruption of European markets. The prevailing illusion concerning the EU is that it is a “model” for the future the globalists wish to create, and therefore, the assumption is that they would never deliberately allow the transnational union to fail. Unfortunately, people who make this argument do not seem to realize that the EU is NOT a model for the New World Order, it is in fact a mere stepping stone. The rising propaganda argument voiced by elites in the International Monetary Fund and the Bank For International Settlements, not to mention the ECB, is not that Europe’s troubles stem from its ludicrous surrender to a faceless bureaucratic machine. Rather, the argument from the globalists is that Europe is failing because it is not “centralized enough”. Mario Draghi, head of the ECB and member of the board of directors of the BIS, tried to sell the idea that centralization solves everything in an editorial written at the beginning of this year. Make no mistake, the rhetoric that will be used by Fabian influenced media pundits and mainstream economic snake-oil salesmen in the coming months will say that the solution to EU instability as well as global instability is a single global governing body over the fiscal life of all nations and peoples. The argument will be that the economic crisis persists because we continue to cling to the “barbaric relic” of national sovereignty. In the meantime, internationalists are protecting the legitimacy of stimulus actions and banker led policy by diverting attention away from the failure of the central planning methodology. Mario Draghi has recently announced the institution of Europe’s own QE bond buying program, only months after Japan initiated yet another stimulus measure of its own, and only months after the Federal Reserve ended QE with the finale of the taper. I would point out that essentially the moment the Fed finalized the taper of QE in the U.S., we immediately began to see a return of stock volatility, as well as the current plunge in oil prices. I think it should now be crystal clear to everyone where stimulus money was really going, as well as what assumptions oblivious daytraders were operating on. The common claim today is that the QE of Japan and now the ECB are meant to take up the slack left behind in the manipulation of markets by the Fed. I disagree. As I have been saying since the announcement of the taper, stimulus measures have a shelf life, and central banks are not capable of propping up markets for much longer, even if that is their intention (which it is not). Why? Because even though market fundamentals have been obscured by a fog of manipulation, they unquestionably still apply. Real supply and demand will ALWAYS matter – they are like gravity, and we are forced to deal with them eventually. Beyond available supply, all trade ultimately depend on two things – savings and demand. Without these two things, the economy will inevitably collapse. Central bank stimulus does not generated jobs, it does not generated available credit, it does not generated higher wages, nor does it generated ample savings. Thus, the economic crisis continues unabated and even stock markets are beginning to waver. As demand collapses due to a lack of strong jobs and savings, it pulls down on the central bank fiat fueled rocket ship like an increase in gravity. The rocket (in this case equities markets and government debt) hits a point of terminal altitude. The banks are forced to pour in even more fiat fuel just to keep the vessel from crashing back to Earth. No matter how much fuel they create, the gravity of crashing demand increases equally in the opposite direction. In the end, the rocket will tumble and disintegrate in a spectacular explosion, filled to capacity with fuel but unable to go anywhere. “I think the best way to answer to this is have we seen lots of inflation since the QE program started? Have we seen that? And now it’s quite a few years that we started. You know, our experience since we have these press conferences goes back to a little more than three years. In these 3 years we’ve lowered interest rates, I don’t know how many times, 4 or 5 times, 6 times maybe. And each times someone was saying, this is going to be terrible expansionary, there will be inflation. Some people voted against lowering interest rates way back at the end of November 2013. We did OMP. We did the LTROs. We did TLTROs. And somehow this runaway inflation hasn’t come yet. Firstly, if you are using “official” CPI numbers in the U.S. to gauge whether or not there has been inflation, then yes, Draghi’s claim appears sound. However, if you use the traditional method (pre-1990’s) to calculate CPI rather than the new and incomplete method, inflation over the past few years has stood at around 8%-10%, and most essential goods including most food items have risen in price by 30% or more, far above the official 0%-1% numbers presented by the Bureau of Labor Statistics. But beyond real inflation numbers I find a very humorous truth within Draghi’s rather disingenuous statement; yes, QE has not yet produced hyperinflation in the U.S. (primarily because the untold trillions in fiat created still sit idle in the coffers of international banks rather than circulating freely), however, what HAS stimulus actually accomplished if not inflation? 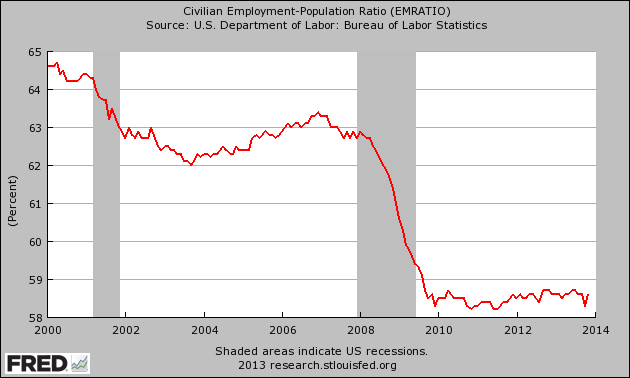 Certainly not any semblance of economic recovery. Look at it this way; I could also claim that if international bankers lined up on a stage at Davos and danced the funky-chicken, hyperinflation would probably not result. But what is the point of dancing the funky chicken, and really, what is the point of QE? Stimulus clearly has about as much positive effect on the economy as jerking around rhythmically in tight polypropylene disco pants. IMF head Christine Lagarde put out a press release this past week, one which was probably drafted for her by a team of ghouls at the BIS, mentioning the formation of what she called the “New Multilateralism”. “No economy is an island; indeed, the global economy is more integrated than ever before. Consider this: Fifty years ago, emerging markets and developing economies accounted for about a quarter of world GDP. Today, they generate half of global income, a share that will continue to rise. And here we have a more subtle insinuation of the planning and programming I have been warning about for years. Because national sovereignty is no longer “practical” in an economically interdependent world (a world forced into economic interdependency by the globalists themselves), we must now change our way of thinking to support a more globalist framework. The first big lie is that interdependency is a natural economic state. Historically, economies are more likely to survive and thrive the LESS dependent they are on outside factors. Independent, self contained, self sustaining, decentralized economies are the natural and preferable cultural path. Multilateralism (centralization) is completely contrary and destructive to this natural state, as we have already witnessed in the kind of panic which ensues across the globe when even one small nation, like Switzerland, decides to break from the accepted pattern of interdependency. Also, take note of Lagarde’s reference to the growing role that developing nations (BRICS) are playing in this interdependent globalized mish-mash. As I have been warning, the IMF and the international banks fully intend to bring the BRICS further into the fold of the “new multilateralism”, and the supposed conflict between the East and the West is a ridiculous farce designed only as theater for the masses. The IMF head finishes with my favorite line, one which should tell you all you need to know about what is about to happen in 2015. I have for some time been following the progress (or lack of progress) in the IMF reforms presented in 2010; reforms which the U.S. Congress has refused to pass. Why? I believe the reforms remain dormant because the U.S. is MEANT to lose its veto powers within the IMF, and the IMF has already made clear that lack of passage will result in just that. “Against this backdrop, the adoption of the IMF reforms by the United States Congress would send a long-overdue signal to rapidly growing emerging economies that the world counts on their voices, and their resources, to find global solutions to global problems. Why remove U.S. veto power? Because BRICS nations like China are about to be given far more inclusion in the IMF’s multilateralist order. In fact, 2015 is the year in which the IMF’s Special Drawing Rights conference is set to commence, with initial discussions in May, and international meetings in October. I believe U.S. veto power will probably be removed by May, making the way clear (creating the rationale) for the marginalization of the U.S. dollar in favor of the SDR basket currency system, soon to be boosted by China’s induction. In 2015 what we really have is a sprint towards currency and market devaluation across the spectrum. India, Japan, Russia, Europe, parts of South America, have all been debased monetarily. The U.S. has as well, most Americans just don’t know it yet. The value of this for globalists is far reaching. They have at a basic level created an atmosphere of lowered economic expectations – a global reduction in living standards which will at bottom lead to third world status for everyone. The elites hope that this will be enough to condition the public to support centralized financial control as the only option for survival. It is hard to say what kind of Black Swans and false flags will be conjured in the meantime, but I highly doubt the shift towards the SDR will take place without considerable geopolitical turmoil. The public will require some sizable scapegoats for the kind of pain they will feel as the banks attempt to place the global economy in a totalitarian choke hold. While certain institutions may be held up as sacrificial lambs (including possibly the Federal Reserve itself), the concept of banker governance will be promoted as the best and only solution, despite the undeniable reality that the world would be a far better place if such men and their structures of influence were to be wiped off the face of the planet entirely. Published on Apr 26, 2012 Steve Jobs: “I think one of the things that really separates us from the high primates is that we’re tool builders. I read a study that measured the efficiency of locomotion for various species on the planet. The condor used the least energy to move a kilometer. And, humans came in with a rather unimpressive showing, about a third of the way down the list. It was not — not too proud a showing for the crown of creation. So, that didn’t look so good. But, then somebody at Scientific American had the insight to test the efficiency of locomotion for a man on a bicycle. And, a man on a bicycle, a human on a bicycle, blew the condor away, completely off the top of the charts. And that’s what a computer is to me. What a computer is to me is it’s the most remarkable tool that we’ve ever come up with, and it’s the equivalent of a bicycle for our minds”. There’s undoubtedly a lot of bad news in the world these days. Some people realize it. Others refuse to believe it and stick their heads in the sand. Our century-old monetary system is unraveling before our very eyes. This absurd structure in which we award a tiny central banking elite with the dictatorial power to control the money supply in their sole discretion is now drowning the world in paper currency. ALL financial markets are manipulated by central banks, predominantly the Federal Reserve. One woman– Janet Yellen– has the power to affect the prices of nearly everything on the planet, from the wholesale price of coffee in Colombia to the cost of a luxury flat in Hong Kong. Moreover, politicians in some of the most ‘advanced’ economies in the world (Japan, the US, France, the UK, etc.) have accumulated so much debt that they have to borrow money just to pay interest on the money they have already borrowed. They have indebted generations who will not even be born for decades. They wage endless, costly wars. They spy on their citizens. They tell people what they can and cannot put in their bodies. They confiscate private property and wages at the point of a gun. They abuse the population with legions of heavily armed government agents. 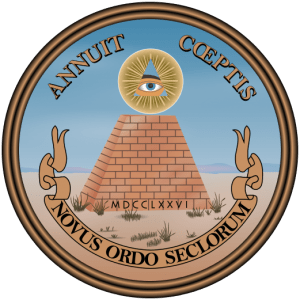 They conjure so many codes, rules, regulations, laws, and executive orders that it becomes nearly impossible for an individual to exist without being guilty of some innocuous, victimless crime.